Balotelli apologised for the image which could be deemed as anti-semitic, although claimed his mother was Jewish so it couldn’t be deemed offensive. The FA charged Balotelli, even after the Italian got in contact with the association and he could receive a ban. The likes of Benoit Assou-Ekotto and Rio Ferdinand have recently been given bans following comments on Twitter. 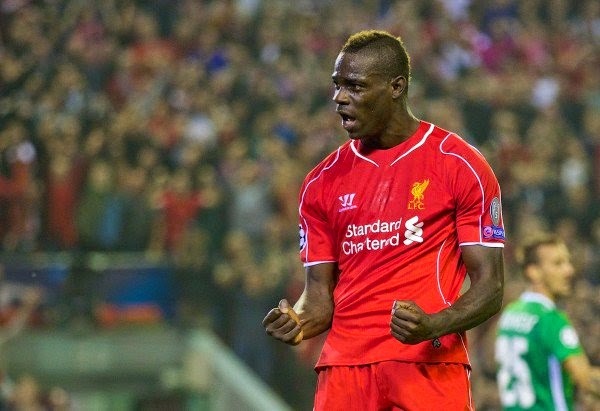 A statement read: “Mario Balotelli has been charged by The FA in relation to a recent posting on social media. “It is alleged the Liverpool player breached FA Rule E3 in that his posting was abusive and/or insulting and/or improper. “It is further alleged that this is an ‘aggravated breach’ as defined by FA Rule E3 as it included a reference to ethnic origin and/or colour and/or race and/or nationality and/or religion or belief. Balotelli has struggled since joining Liverpool in the summer and has scored just two goals, none of which in the Premier League. Rickie Lambert has lead the line for Liverpool in recent weeks, with Balotelli suffering from a thigh injury.